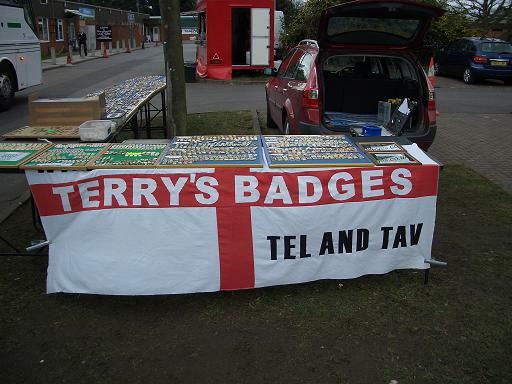 This site is dedicated to Non-League football badges. I have always had a passion for Non-League football, as a player, manager and chairman of my local clubs. I enjoyed 21 successful years as a player with Stokenchurch FC, Lane End FC and Beacons Bottom Athletic FC. I also played for the very successful Lane End United FC Sunday side. 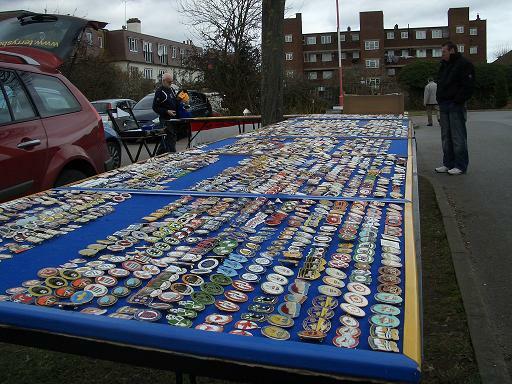 I collect English Non-League badges plus I have many for sale as you will see on this site! I also design and produce badges for 100's of Non-League clubs up and down the country. I only use the best enamel and fittings as most of you will testify. I am a keen AFC WIMBLEDON supporter and attend all home and some away games. I also like to visit loads of Non-League grounds. 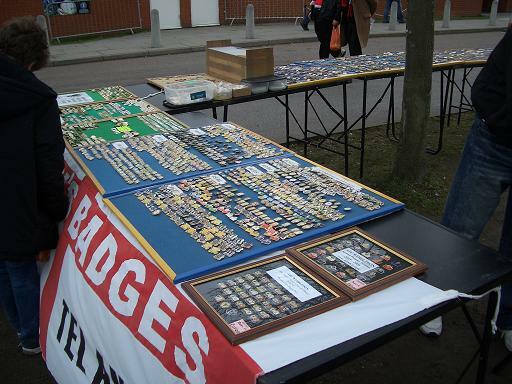 I also design, produce and sell all AFC's badges with all the profits from these badges going to AFC! As far as I am aware we are the only club to have a framed set of badges for every season! 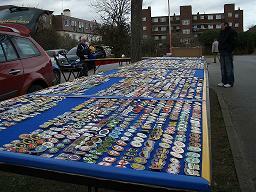 If you click my "sales list" you will find the 100's of badges I have for sale. If your club/business require a badge please contact me for production details. If you have any queries please use my "contact" link. 25/03/19 - Bedford Utd & Valerio 706 - General page "B"
25/03/19 - Newent Town 146 - General page "N"
Almondsbury, Longlevens, Lydney Town, Newent Town, Stokenchurch, Chinnor, Long Crendon, Bourton Rov, Moreton Rangers, Brimscombe, Bishops Cleeve, Tuffley, Thornbury.